The tragic events of September 11, 2001, which claimed many lives in the United States, have since given rise to an era of endless US/NATO-sponsored wars accompanied by economic chaos, rising poverty and financial manipulation. We have seen a marked shift towards authoritarianism, the criminalization of justice and the development of a police state. 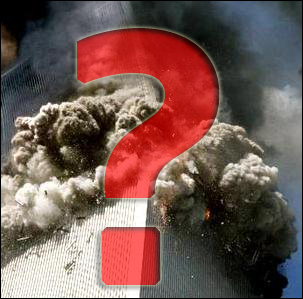 At this special 10 year commemorative event, we invite the public to an evening exploring the truth behind 9/11 and its implications for the future of society. Cynthia McKinney is a former Member of the US Congress and the Green Party Candidate in the US presidential elections. She has recently returned from a fact-finding mission to Libya. Wayne Madsen is a Washington, DC-based investigative journalist, bestselling author and syndicated columnist. He has over 20 years’ experience in security issues. Michel Chossudovsky is an award-winning author, Professor of Economics (Emeritus) at the University of Ottawa and Director of the Centre for Research on Globalization. Mahdi Darius Nazemroaya has been reporting from Tripoli during the NATO assault. He is a Research Associate of the Centre for Research on Globalization. Presentations in English, Q and A in French and English. This event also commemorates the 10th anniversary of the launching of the CRG’s Global Research website at www.globalresearch.ca on the 9th of September 2001, two days prior to the tragic events of 9/11. *Tickets will also be available at the door. First come, first served. Limited seating available.